Regulators have agreed to allow Maine’s lucrative glass eel fishery to remain open next year as long as Maine officials devise a plan that will cut the state’s 2014 catch by at least 25 percent. 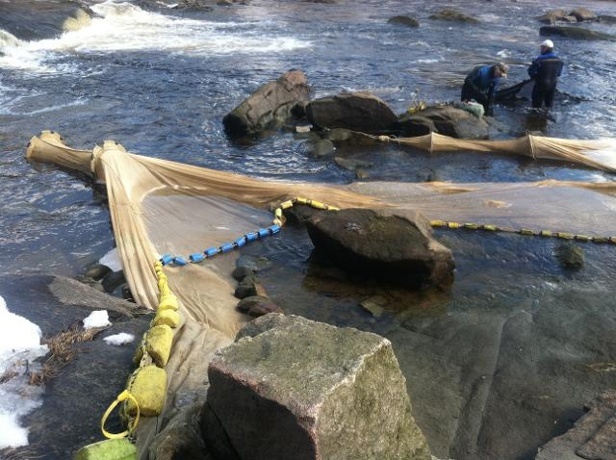 Federal regulators have agreed to delay taking action on possible new management rules for the American eel fishery until next spring, which means Maine’s annual spring elver fishery will beallowed to proceed next March. The Atlantic States Marine Fisheries Commission’s eel management board voted Wednesday in Georgia to postpone passing new eel-fishing regulations that would go into effect in 2014. In the meantime, Maine officials will work with eel industry members to create a plan that reduces next spring’s catch by 25 to 40 percent. According to state and federal regulators, preliminary totals indicate that more than 18,000 pounds of elvers were harvested in Maine this past spring. A 25-40 percent reduction in the catch would result in Maine limiting its harvest in 2014 to between roughly 11,000 and 13,700 pounds.